Dr. Chad Kohl is board certified in Radiology and Diagnostic Radiology and has a practice experience of 10 years. He graduated from the Loma Linda University School of Medicine and did an internship at the University of California in San Diego. 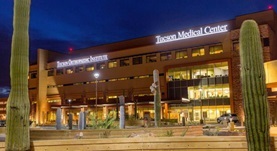 The completion of his residency followed, at the University of Arizona, as well as a fellowship program at the Mayo Clinic Arizona. 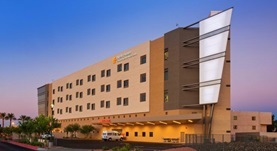 Dr. Kohl has also contributed to several medical publications and at the time, he is affiliated with Chandler Regional Hospital and TMC Tucson Medical Center in Arizona. Dr. Chad A. Kohl has contributed to 3 publications. Accuracy of chemical shift MR imaging in diagnosing indeterminate bone marrow lesions in the pelvis: review of a single institution's experience. Kohl, C. A.,Chivers, F. S.,Lorans, R.,Roberts, C. C.,Kransdorf, M. J.; Skeletal Radiol.. 2014 May 02. Diagnosis of proximal femoral insufficiency fractures in patients receiving bisphosphonate therapy. Porrino, J.A., Kohl, C.A., Taljanovic, M., Rogers, L.F.; AJR Am J Roentgenol. 2010 Apr. The importance of sagittal 2D reconstruction in pelvic and sacral trauma: avoiding oversight of U-shaped fractures of the sacrum. Porrino, J.A., Kohl, C.A., Holden, D., Taljanovic, M., Rogers, L.F.; AJR Am J Roentgenol. 2010 Apr.